Spindle. 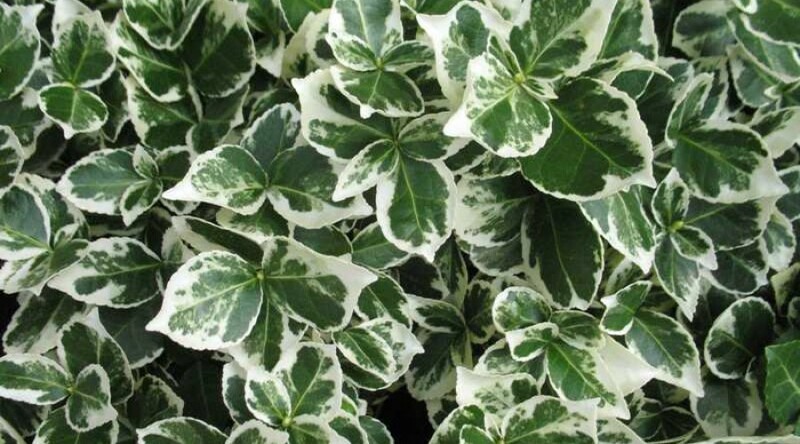 Forms a compact and bushy shrub, bright green leaves with white margins tinged pink in winter. Height 1m. Spread 1.5m. Fruit colour White. Fruits from September Evergreen. Foliage colour Green, White.